You’ll be picked up at your accommodation and swept off to the west. 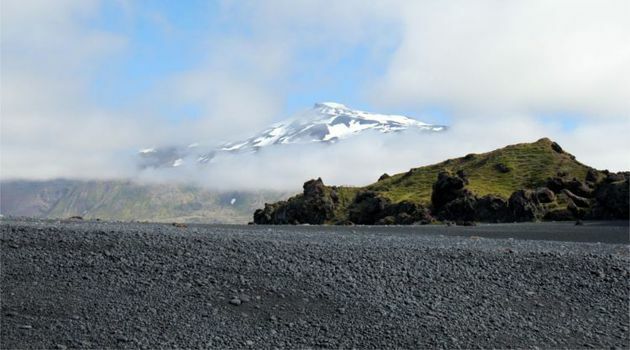 First, you’ll view Snæfellsjökull volcano, wearing a magnificent crown of ice, the highest peak in this area of Iceland and is often visible on clear days from Reykjavik. It is this place that Jules Verne chose as the entrance to the earth’s core in Journey to the Center of the Earth by Jules Verne. 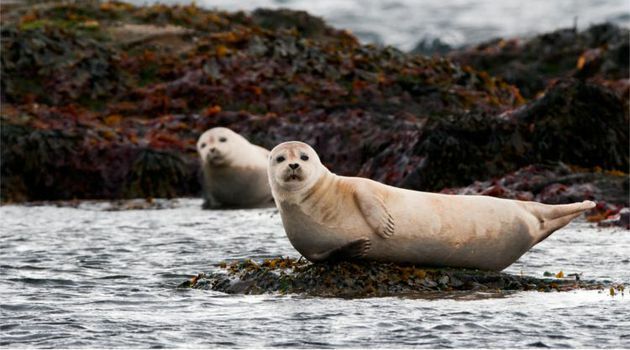 Ytri-Tunga is a charming farm with a nearby beach that is a popular seal colony. 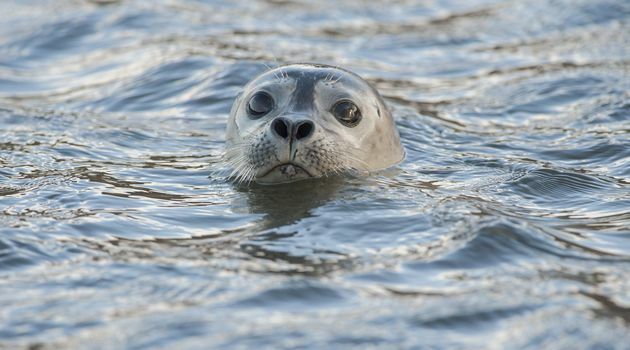 Animal lovers will enjoy seeing their cute faces as they sunbathe and play in the surf. 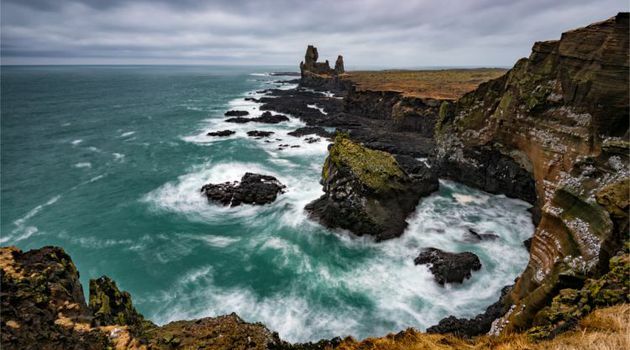 Arnarstapi and Hellnar are located in a lovely coastal area with a natural harbor. Beautiful rock formations decorate the coastline, spotted with green-and-yellow moss, and you can stroll along the cliffs here to take in the refreshing sea air. 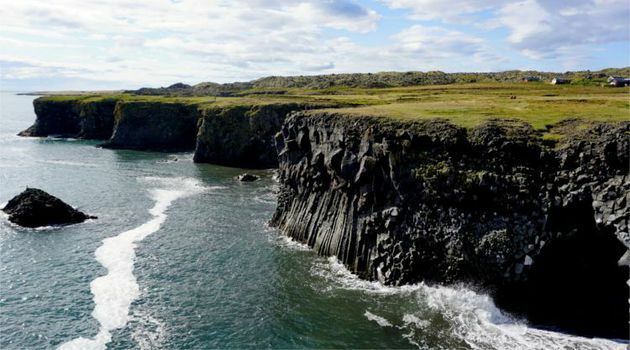 Look for Lóndrangar, two black basalt columns marking the coast, so tall they can be seen from the road! 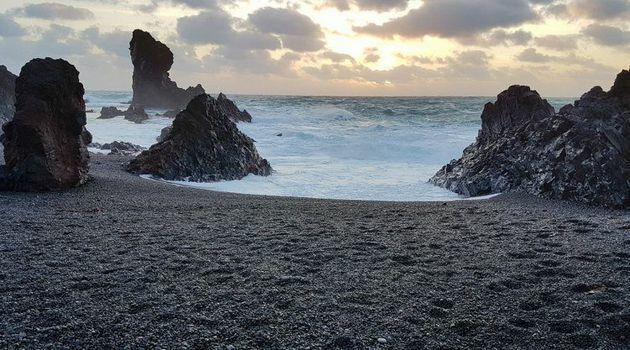 Djúpalónssandur is another gorgeous black beach, where the air is filled with the sounds of birds circling the cliffs and the ocean waves hitting the sand. 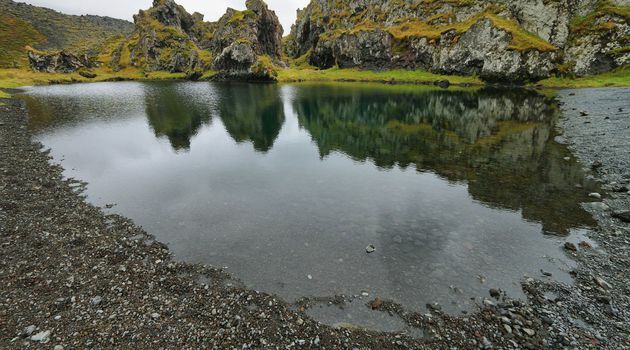 At Djúpalónssandur, you’ll find a curiosity on the beach: four large, smooth stones. They are “lifting stones,” used to measure the strength of fishermen who once worked and lived all along the coasts here. The biggest one is called Fullsterkur (“Full-Strength”) and weighs 154 kg (340 lbs). Be sure to lift with your knees so you don’t hurt your back on this one! The second one is called Hálfsterkur (“Half-Strength”) and weighs 100 kg (220 lbs). The third one is called Hálfdrættingur (“Weakling”) and weighs 54 kg (119 lbs). Last, you were the shame of your village if you can only lift Amlóði (“Useless”), at 23 kg (50 lbs). If a fisherman wanted to earn a spot on the fishing boat, he had to be able to lift the “Hálfdrættingur” stone – anything less, and they were not acceptable. Try your strength! Are you ready to join the boats? 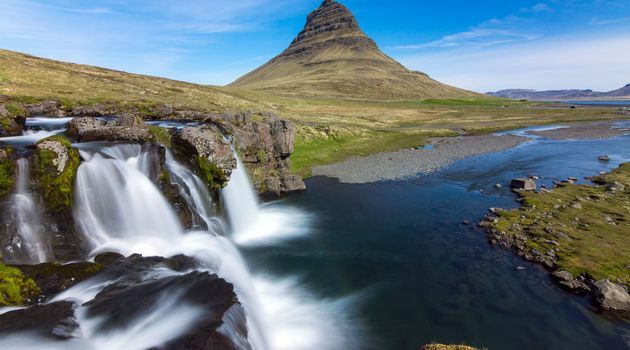 At your last stop, Kirkjufell mountain rises out of the green hills, surrounded by trickling rivers. 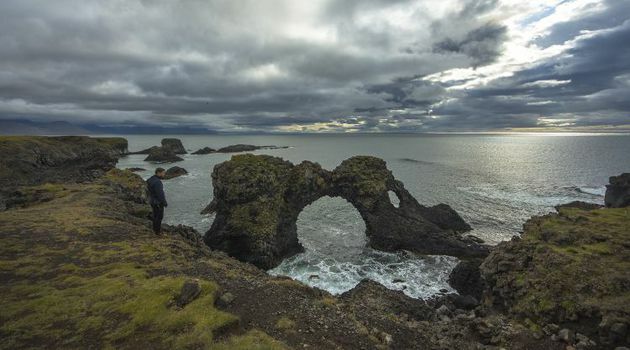 This is one of the most popular photography spots in Iceland, so be sure to get a picture for your own collection! 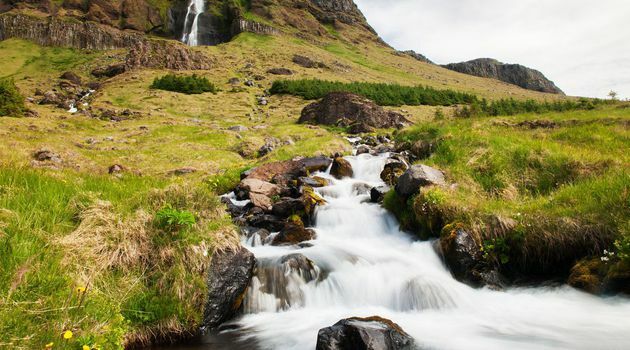 Don’t miss this opportunity to see the most stunning landscapes in western Iceland! Check the booking availability above by selecting your preferred travel date. 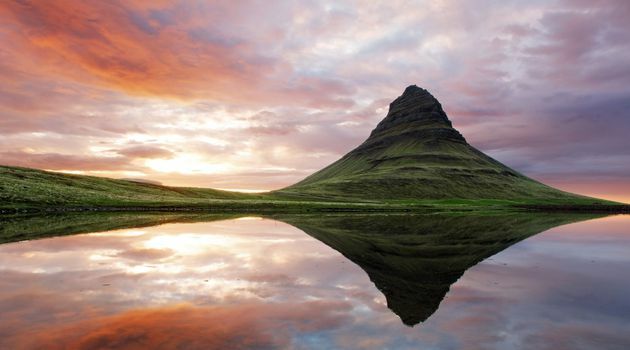 Have one more day in Iceland? 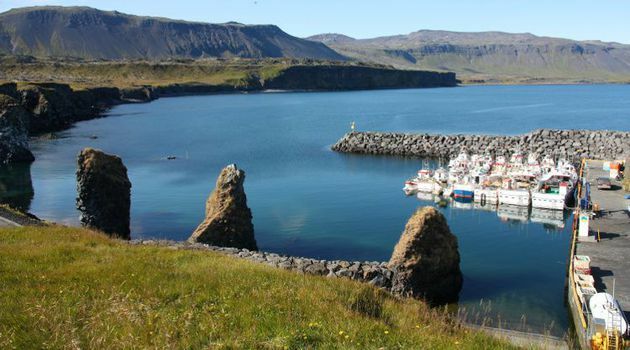 Consider two days 2 Days Snæfellsnes Peninsula Tour that will take you as well to Borgarfjörður area where you will see stunning Vidgelmir Lava Cave and relax in Geothermal SPA powered by the most powerful hot spring in Europe! This tour takes up to 11 hours. Meals are not included, but there will be a stop for lunch and a coffee break in the afternoon.